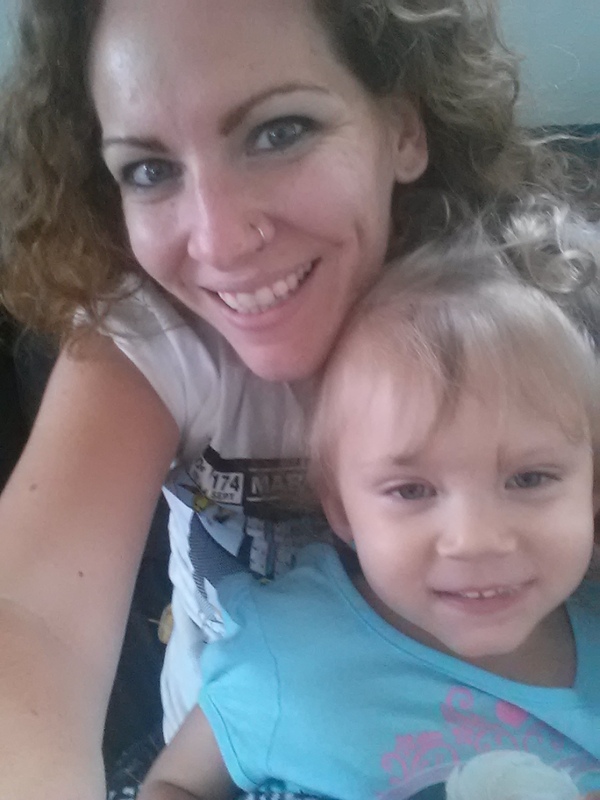 No, I don’t mean my seriously adorable, BFF and niece. Although she is two, she is far from terrible. Definitely NOT terrible! What has been terrible is my last two runs. After a perfect 8 miler Saturday, it’s bee so frustrating to have bad runs. I had an easy 3 miler on my training schedule. I started off maybe a little faster than I should have, but nowhere near my 5k pace. Basically I didn’t sprint out. And I slowed down after a half mile. And walked after on mile. And after 2 miles. and 2 1/2 miles. I’d taken my two inhaler puffs before the run, and my allergy medicine the night before, but the humidity was thick and it was already 70 degrees out at 6:30am. My lungs rebelled. I was gasping for air the whole way through. But, albeit slow, I finished. Monday afternoon I babysat my niece and made most of our meals for the week. I was going to go to yoga, but there was a substitute teacher and I love the instructor that normally teaches. So I stayed in. I was exhausted too from all the niece watching and cooking. Today’s run was so bad I almost don’t even want to talk about it. My calves and ankles were really tight, I presume from standing in the kitchen for hours yesterday. 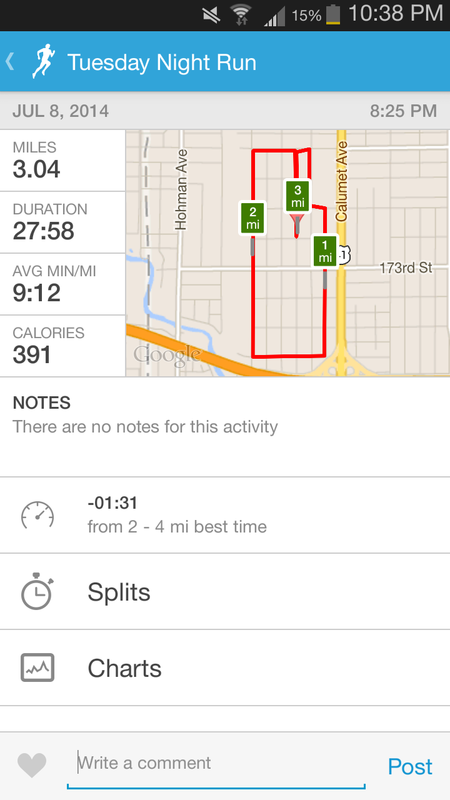 My starting pace was 11 minutes per mile. 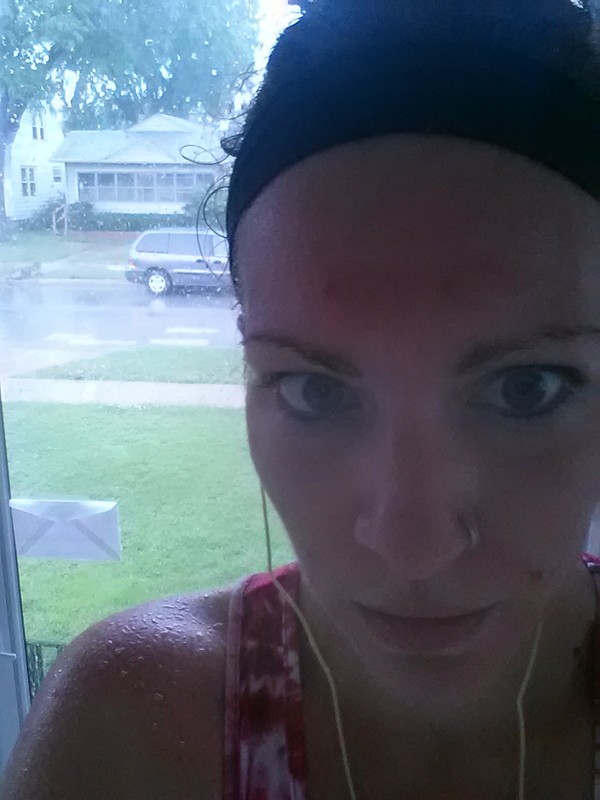 I got about a mile and a half in, and it began to thunder, lightening, and there was a torrential down pour. I stood under a tree and tried to wait it out but it was still monsooning one Pandora song later. So I sprinted the half mile home and called it quits. Which was lucky because the rain came down even harder right after I walked in the door and I was already soaked. 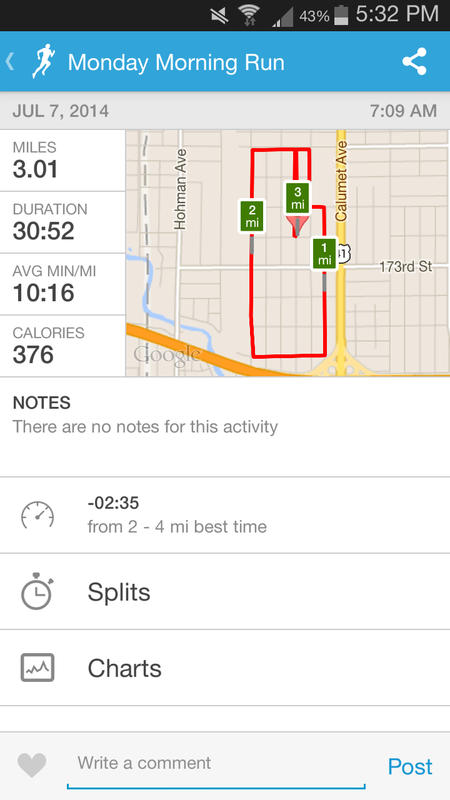 I was supposed to run 5 this morning, and got 2 (super slow) miles in. I had to to go to the dentist this morning so I a dry running outfit intending on going for a run when I finished, either on a treadmill at the gym or outside it if wasn’t too hot. Well, since I was about falling asleep driving, I did neither. I came home and took a 3 hour nap! Once a month (know what I mean?) I get run-over-by-a-truck tired. It lasts for just 2-3 days and then I’m fine again. Today is one of those days. Even now, I have absolutely no energy. I should be doing dishes, folding laundry, and finishing 3 more miles of my run. We’ll see what actually gets done…. Tomorrow is weights. At least it’s a little break from running. How is your week of running going? Any other Chicagoans get stuck in the downpour this morning?